Explore some of the most exciting new cookbooks due to be release across April and late March. 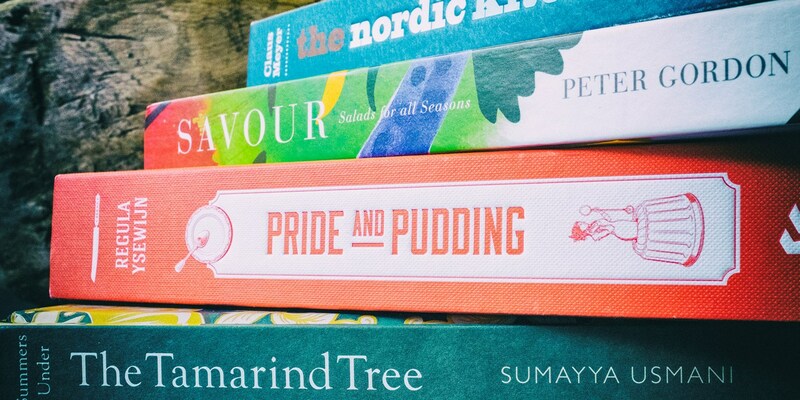 From Peter Gordon's latest study on salads to Sumayya Usmani's exploration of Pakistan's many cultural and culinary influences, there are plenty of fantastic and unusual titles to look forward to this month. Claus Meyer is Denmark's Michelin magnate and all-round culinary behemoth, perhaps most famous for co-founding restaurant noma but also owner of a number of bakeries and delis, author of several cookbooks and a television star to boot. No doubt the publishers were pleased with his latest tome, which hits a number of key trends in the world of food publishing – a collection of Nordic recipes (tick) which are family-friendly (tick) and arranged in seasonal chapters (tick tick tick ad infinitum). All cynicism aside, though, I enjoyed this book a lot, particularly its dedication to the latter theme. Each seasonal chapter is introduced with a list of ingredients to look forward to, with a separate list of wild ingredients to look out for when foraging (a lovely touch). Recipe tips and full page ingredient profiles are squeezed in as often as possible throughout the book, demonstrating just how passionate Claus is about promoting the flavours and techniques of traditional (and contemporary) Nordic cooking. This being a rather personal cookbook, food nerds are bound to enjoy the insights the author gives into his own relationship with food, from a childhood growing up on meals from tins to a copy of the historic culinary manifesto outlining the principles of new Nordic cuisine signed by Claus, René Redzepi and other leading chefs. The title of Sumayya Usmani's debut cookbook didn't grab me immediately, I'll admit, but as soon as I'd turned the first page and started reading I felt myself instantly drawn in. In part inspired by Sumayya's childhood growing up in Pakistan, this book is also a celebration of a cuisine which, even now, is often overlooked and somewhat misunderstood. The informative introduction is reason enough to seek out the book in itself, exploring the numerous cultural influences found across the different provinces of Pakistan which make up the country's culinary map – from the spicy, aromatic dishes of Punjab in the east to the succulent, simple barbecued meat favoured in Balochistan. Sumayya also shares tips on spice blends and cooking techniques, alongside a beautifully photographed variety of recipes for every occasion, from spiced beef kebabs to comforting classics like chicken korma, rice pudding and halva. I love spending my time in greengrocers peering at fresh, colourful vegetables almost as much as I love Peter Gordon, so even before it landed on my desk I already had an inkling that I'd love this book, too. And, lo, when it arrived it was as glorious as I thought it would be – better, even, thanks to the photo of Peter in a greengrocer peering at fresh, colourful vegetables within the first few pages. Like so many cookbooks these days there's emphasis on seasonality, and flicking quickly through the book gives you a tantalising glimpse of dishes spanning each shade of the British seasonal colour palette – think vibrant orange roast pumpkin with steamed aubergine, shiitake and Parmesan for autumn and the striking purple, white and green of his herb-roast cod with cauliflower, broad beans and pomegranate for the warmer months. Fans of Peter's inimitable fusion style will know to expect a few unusual (and potentially tricky to source) ingredients along the way, but whether you tackle the dishes faithfully or simply use them to feel inspired this book deserves a place on every foodie's bookshelf. Kudos to Lisa Linder, too, for her wonderful photography throughout. 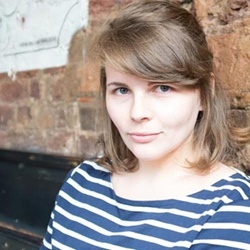 Last month I climbed up on my digital soapbox and demanded food writers use their introductory pages wisely to share information and techniques. Upon opening Pride and Puddings I was delighted to discover that it appears Regula Ysewijn was listening, as she treats her readers to a full sixty pages of historical background, classifications, careful research and handy instructions for using particular pieces of equipment before we even get a glimpse of a recipe. This is certainly not your average cookbook, acting as part recipe source, part coffee table book and part passionate dissertation on the importance of the pudding in British culture. If your mind conjured up dainty images of apple crumble think again – black pudding and haggis made from scratch, pease pudding and toad in the hole (with the majority of recipes sourced from historical texts) are the sort of hearty, traditional fare Regula explores in fascinating detail. Sweet puddings have their place too, of course, with retro classics such as syllabub, bread and butter pudding and a resplendent blancmange rubbing shoulders with Bakewell pudding, posset and seventeenth century ice cream. A wonderful, esoteric book for historians and keen cooks alike.